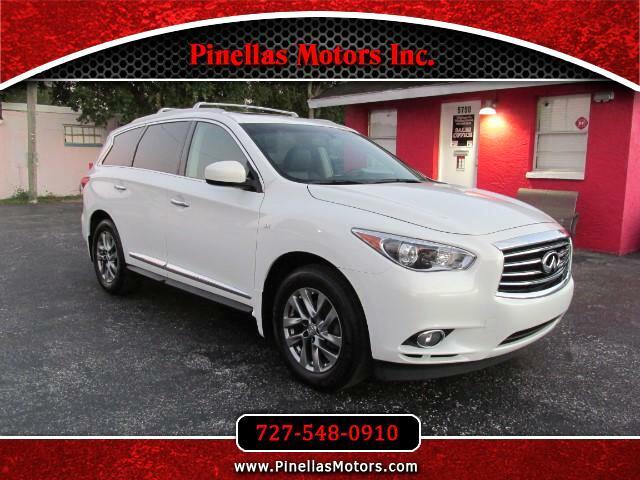 Used 2014 Infiniti QX60 FWD for Sale in Pinellas Park FL 33781 Pinellas Motors Inc. Looking for a vehicle big enough for the family but not ready for the typical soccer mom van?! This is the perfect vehicle for you! Loaded with luxury this vehicle boasts a Cognac leather interior with 3 rows and plenty of space for the kids. The QX60 is also a CarFax certified 1 owner - no accident vehicle!